As a food manufacturer, we are committed to sustainability and quality and we implement work practices to ensure that our plant is operating in an environmentally-friendly manner. We are also committed to supporting the local community and we are very conscious of caring for the wider community in which we operate. Corporate socially responsible events can make a big difference to our local communities. 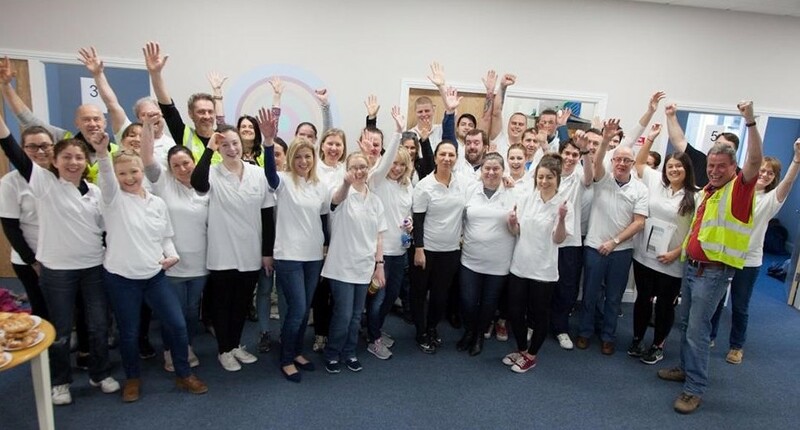 As part of our Corporate Social Responsibility policy Simply, our food stocks manufacturer, took part in a Make a Difference Day for the local Youth Services. Our staff volunteered their time by assembling new office furniture which Simply has purchased to fit out the Youth Services new counselling office. The team also did some wonderful painting that really brightened the place up! The day was a great success and the offices looked fantastic! It was brilliant to get involved with one of the local youth organisations and we can’t wait for the next opportunity. We embrace these types of initiatives because we believe hands-on support to local community’s benefits all of us. Whether it’s a day helping the local nursing home or planting up some local gardens our staff are always ready to get behind a good cause. View some more photos of the day! The Culinary Food Group continuously monitors processes and refines procedures, such as our waste management systems, to minimise the environmental impact. In practice this means investing in the latest technologies and bringing in the right expertise to optimise our approach. As a result of this commitment, we have received an Integrated Pollution, Prevention and Control Licence by the Environmental Protection Agency. The licence controls areas such emissions including waste, air, noise, storage as well as water consumption. All activities and processes must use the best available technology. Simply has made great progress in the area and were able to use a new evaporator process that resulted in up to 83% reduction in packaging when manufacturing food stocks. We have successfully reduced our energy consumption levels in line with our targets. In 2013 were finalists in the Sustainable Energy Awards and in 2014 we went one better and were the Industry Category Winners. This was a fantastic achievement for the company and something we are extremely proud of. At Simply we’ve been manufacturing the finest food stocks since 1995. The natural stock that we produce are full of flavour and are used by our chefs in our product ranges from Meat & More, Pasta Concepts and the Sauce Room. During the three decades, we have honed our cooking methods that has earned us a reputation as the best food stocks manufacturer. Our chefs carefully select the best ingredients when producing stocks and broths. Our stocks are manufactured to be rich in flavour and enhance any sauces, soups, ready meals or ready to cook meal solutions they are used in. Our chef led production team are busy in The Culinary Innovation Centre creating new masterpieces on a daily basis and that keeps us ahead of the latest trends. To learn more about any of our community projects please get in touch. You can also contact us to get more details about our products or to request samples.